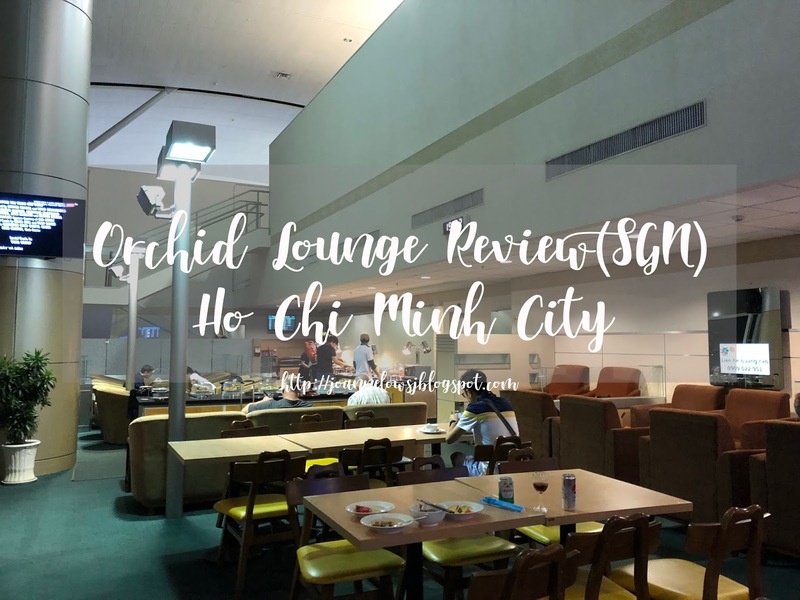 As we were early for our flight, we decide to check into Orchid Lounge in Ho Chi Minh City Tan Son Nhat International Airport. Located after the immigration, the entrance to orchid lounge is hidden in a small hallway between gate 10-14. You will have to take an elevator down or you can take the stairs. When I arrived, I find the place to be pretty dark. The interior of the lounge is pretty dated too! Fortunately, the lounge overlook the air field of the airport and should have a good view during the day. No photo taking allow, thus pardon me for the poor photo quality. Even feeling full, I still wanted to try the food in the hot food section especially the spring roll. Sadly, there was limited choice – pho, Vietnamese spring roll and salad. After trying lots of street food in Ho chi Minh City, I must say that the food here is quite bad. The spring roll is tasteless and cold. If you are planning to visit the lounge, do not come with an empty stomach. Drinks menu were decent but not much sprits & liquor to choose from. On a brighter note, there are a few type of beer available! Free Wifi-service available. There are toilets located in the lounge but no shower facilities. Overall, I think that there is Orchid Lounge is a nice place to avoid the crowd in the airport but the food need lots of improvement. Thus, if you only have a few passes, I suggest you to save it for better lounge.